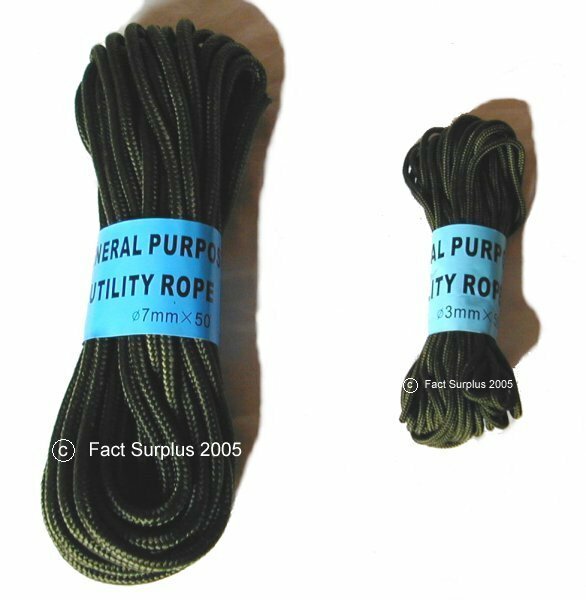 General purpose Purlon utility cord. 3mm or 7mm diameter in 15m lengths. Green. Ideal for erecting your basha or hootchie or any job where a strong cord is necessary.